Remember Microsoft's first Xbox? In certain channels, the size of the chassis gave birth to the micromeme, "Xbox Huge." It's not fair to put the new Surface tablet in the same category, although it is a sizeable piece of hardware. 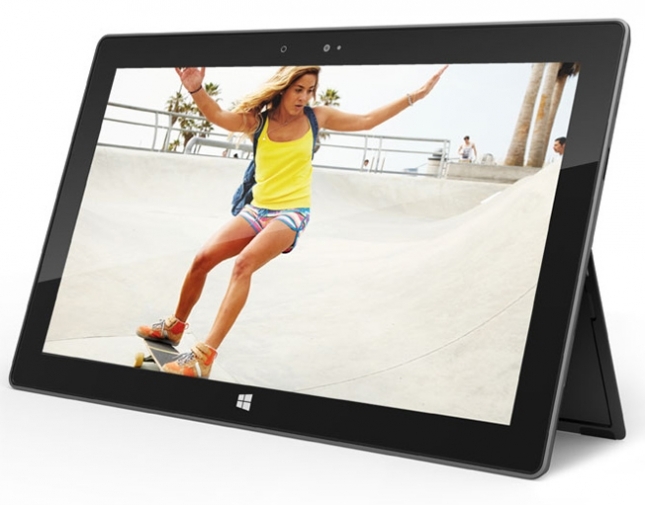 Weighing in at 1.49 pounds, Microsoft's Surface isn't much heavier than the original iPad. But it feels heavier, and definitely thicker. I simply cannot get away from the term "bulky" in describing it. But Microsoft has also done a lot to distract users from its heft, thanks to the integrated kickstand, the large vibrant display, and nifty engineered enhancements such as the Touch Cover and Type Cover that double as keyboards. I held the Surface briefly on two occasions. Because of the limited access time, this will be a piecemeal evaluation - both the Surface and its Windows RT operating system will need a thorough review for proper evaluation. Consider this a very preliminary report. With that said, I liked the Surface. Windows RT is bold and vibrant, with primary colors that attract the eye. I still feel like Windows 8/RT should be a tablet-only OS; on the PC, the Metro interface feels a bit cartoony. On the tablet, however, Windows RT thrives, inviting exploration through swiping, rather than drilling down through layers of folders and applications. Swiping can be problematic - multiple swipes get old fast, but the interface nevertheless feels fresh and new. That applies to the Touch Cover and Type Cover, too. The latter might remind some of the folding keyboards that accompanied the early PDAs, with a predominantly plastic and metal construction. The Touch Cover, manufactured from an undisclosed, fabric-like plastic, still allows a bit of travel while typing. Microsoft officials swore up and down that both keyboards were comfortable and effective, and that they could type at roughly the same rates as a desktop keyboard. I remember some of the press conferences after the launch of the iPad, where Apple gave preferential seating to reporters who took notes on an iPad, claiming that they would be less distracting than the click of keyboards. Nonsense, really, but the reporters I saw using them seemed to do just fine in touchtyping quickly, and I suppose, accurately as well. Slight dimples on the "J" and "F" keys help center the user's fingers. Unfortunately, I had time to see little else. I can't say anything about the graphics chip used within the tablets, or how Surface will be able to run today's latest games. In that, Microsoft will face some competition from OnLive, which can run games over its cloud network, and offer access to a Windows (7) desktop and applications, as well. 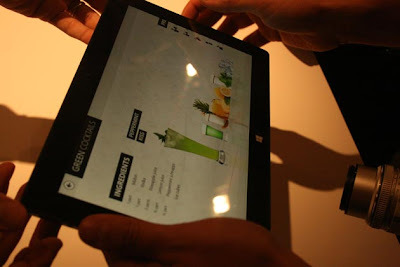 I was impressed by Microsoft's demonstration, and by Surface as well. It's not unfair to say that Windows RT might be a third viable tablet OS. I will say that several major questions remain, including price and availability, and whether Microsoft will be able to develop an app ecosystem to compete with Google Play and Apple's iTunes App Store. 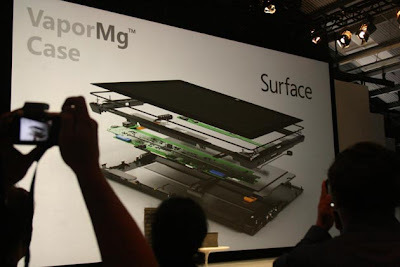 And there are still bugs to work out - Microsoft's Steven Sinofksy pulled a quick switcheroo on stage, apparently to replace a balky tablet with one that worked properly. With Surface, Microsoft has succeeded in making me want to see more. 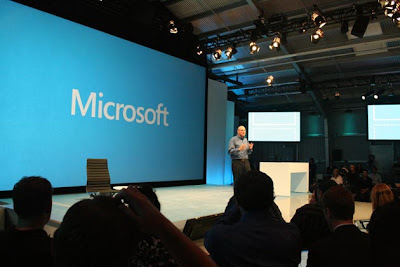 Unfortunately, it appears we'll have to wait until the general availability of Windows 8 this fall to get it. I would love to know what you expect from this device!! !